When talking about Homer, it never takes very long for someone to mention Prout’s Neck. The two are linked in the popular imagination, probably for all time. 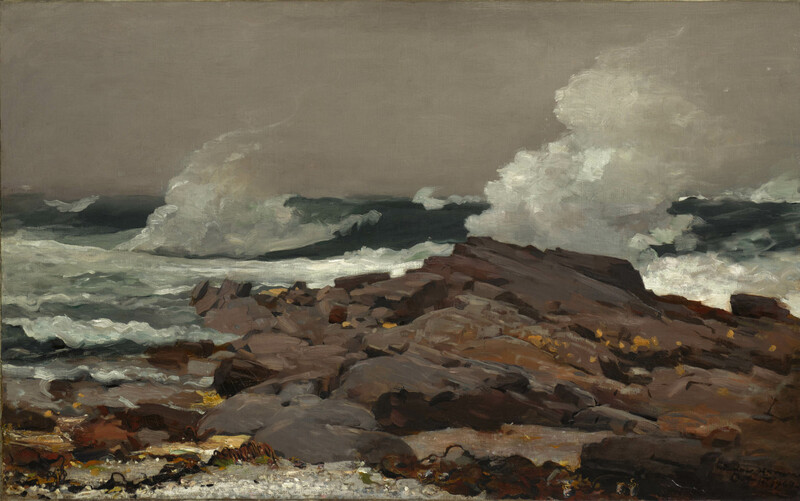 It might be said that it was here, among the rocky coastline and pine trees, that Homer did his most fully realized work—paintings like Eastern Point and West Point, Prout’s Neck capture the Maine coast in a way that few other artists have been able to. They are beautiful paintings, but they’re also savage, visceral representations of the power of the sea. Though Homer spent the final decades of his life in Maine, he wasn’t the only member of his family to reside there. His brother Arthur built a house in Prout’s Neck in 1881, and Charles Homer, Sr. bought a home there in 1883. By then, the Homer family owned most of the peninsula. Today, a large part of the peninsula is devoted to a bird sanctuary, preserving the area’s untamed beauty. Homer’s studio was purchased by the Portland Museum of Art in 2006 and renovated to return it to its appearance circa 1910. To do that, bedrooms had to be removed from the upper floor, which had an open layout when Homer lived there, and the enlarged kitchen was reduced to its original size. The studio opened to the public for the first time in 2012, allowing visitors to not only experience the atmosphere of Homer’s studio, but also to see tangible evidence of the artist’s occupation—Homer’s notes to himself are scrawled on the walls and preserved for visitors. 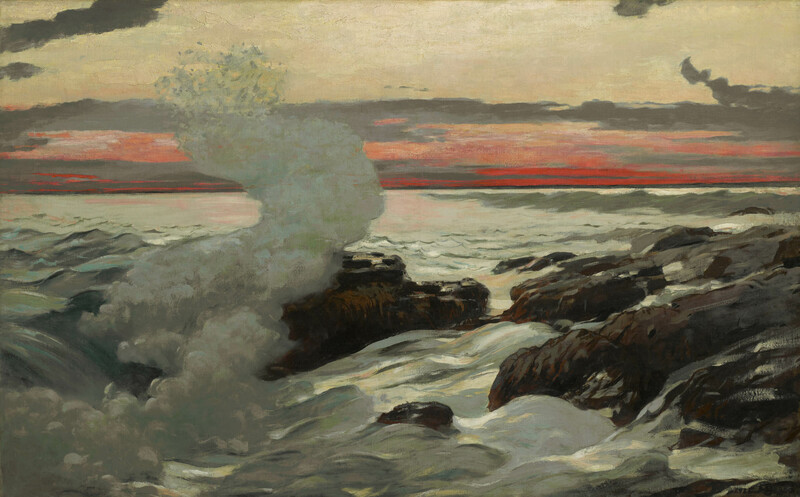 If you’re interested in exploring the relationship between Homer and Prout’s Neck a little further, Tom Denenberg, director of the Shelburne Museum in Shelburne, Vermont, will deliver a free lecture at the Clark entitled Winslow Homer and the Poetics of Place on Sunday, August 4 at 3 pm. Denenberg, who has published two monographs on Homer, oversaw the restoration of Homer’s studio during his time as chief curator and deputy director at the Portland Museum of Art.